Wednesday. 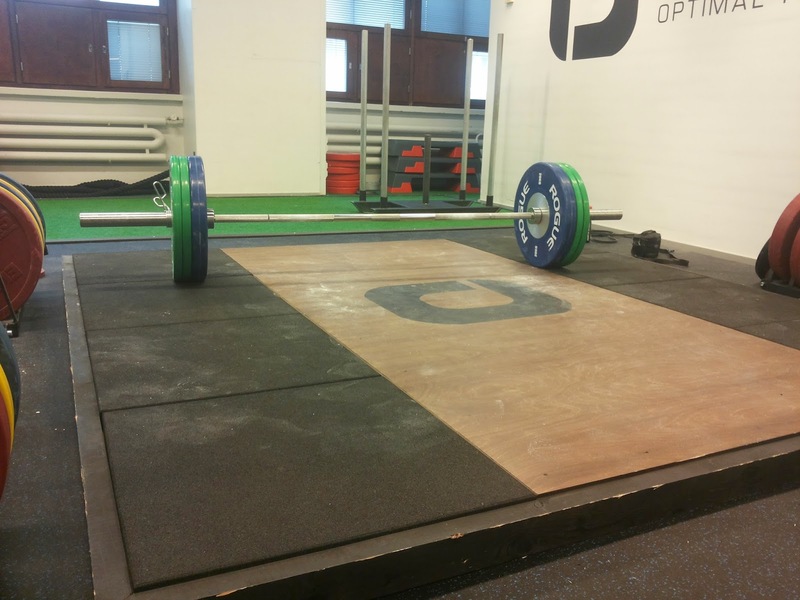 Clean and jerk triples (up to 90kg). 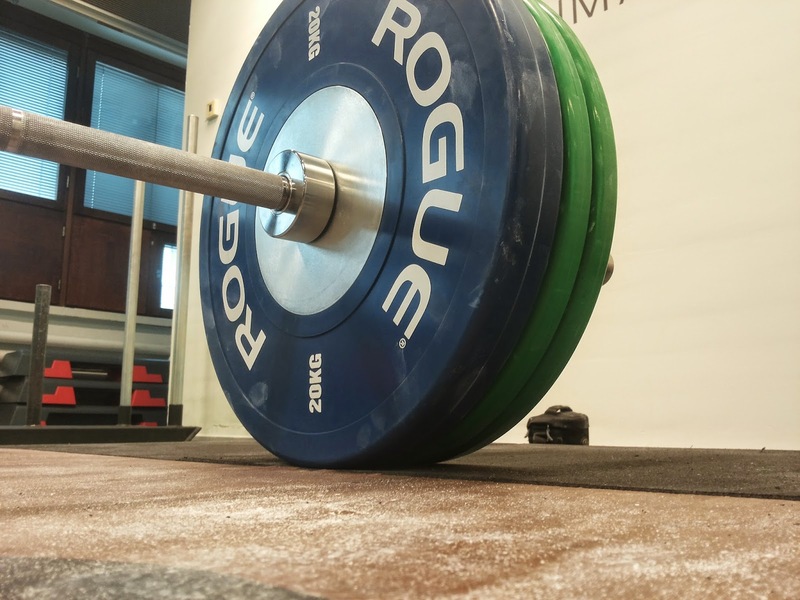 Every 45sec: 1 full clean @ 100kg, for 10min. Skills, 4x6 bar mu's. Morning workout. Finally doing some clean and jerks for real. I took my time with these lifts, and then finished the barbell work with heavy cleans in emom style. There was no time for metcon so I took a quick change of plans and did bar muscle-ups instead. It was great to be back in business. The reason why I have not jerked much lately is that my elbows got sore on those quite easily so it was kind of a turn off. Now they are fully healed so I was eager to put weight overhead! I was thinking about just taking singles but it turned out to be triples. 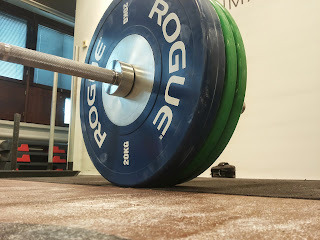 Not t'n'g as I dropped the weight after each rep.
Well okay, the first sets were done in one smooth movement but at 70kg I took the triples in single lifts. 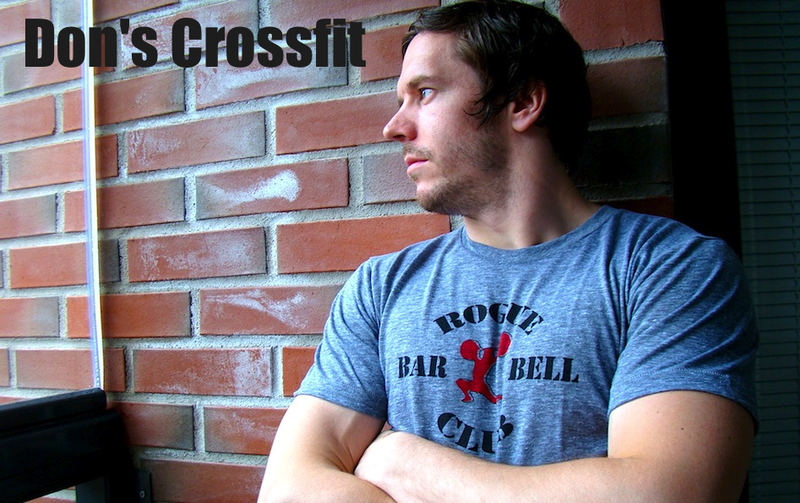 Lifts up to 80 kilos were power clean and jerks, and then the following reps were squat cleans, and then a split jerk. Cleans were light today and those should be considering the weights. Hundred kilos for a single shouldn't be an issue but jerking that weight is a big deal. There aren't many times I have put that overhead. Jerks were okay up to 90kg. Heavy but manageable. Afterwards I realized from video that my back leg is not ideally positioned and front leg is not going front enough. You could look at it from another angle so that I'm not pushing myself under the bar enough. It's more like pressing the barbell up instead of pushing myself down against the bar. Lots of technical issues that would bring big gains if I get them corrected. One rep every 45 seconds. When I put the clock on my plan was to do one rep every 60 seconds but I didn't have enough patience so I took the second reps at 0:45. Last rep was taken at 9:45 so that means to say there was a total of 13 lifts. I'm very happy every rep of these 13 ones felt similar and pretty much looked similar too. At least not huge differences between reps. Big thing at these loads. That's exactly what I'm looking for in all movements. No matter if it's bodyweight or barbell. It's a different thing if they look consistent throughout every training session but at least that's what I strive for. Clock was running and I had to leave. Metcon was out of question but that didn't prevent me to do something quickly. Pull-up bar is always a good choice. I jumped on it and took a set of bar mu's. Dropped down and walked a bit, chalked my hands and got back up there. Repeated it for 4 sets of 6 reps. I'm very happy this is turning from a huge weakness to decent level muscle-ups! Very, very happy!